We don't usually go in for neighbourhood festivals but somehow the idea of a Doonside festival struck a chord, a fine excuse to sniff around a suburb we've never snifftered before. 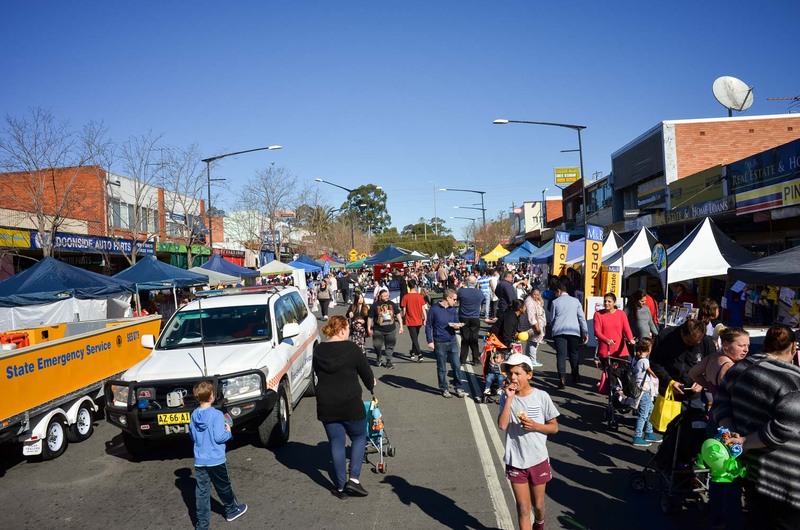 We're a long way from the sea but on this perfect Sydney winter day the Doonside Festival has small coastal town sort of vibe, a multicultured happy battlerville with a country tinge. Or maybe it's the cheeky lunchtime schooner talking. The pub on the main street pulls a mean Tooheys Old by the way. 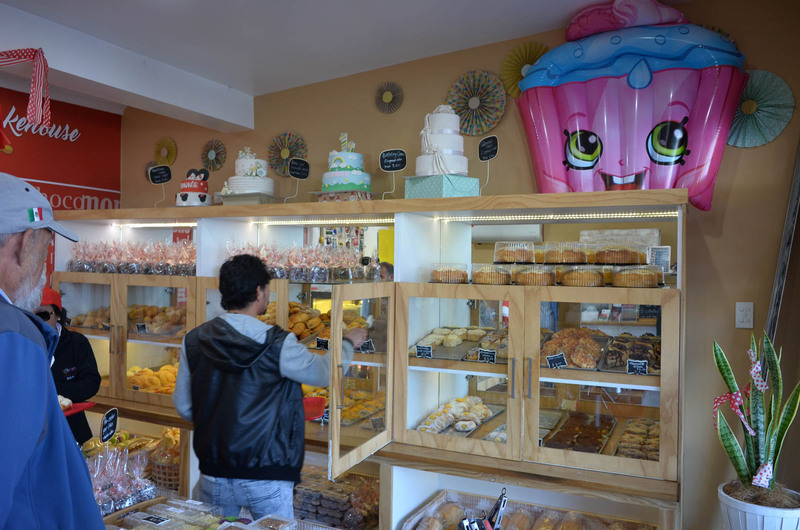 The street stalls are very local: pot plants, cakes and bric-a-brac. Some geezers selling Easter Show type showbags in an Easter Show type van made it worth the trip alone, no Bertie Beetle showbag though. There's a handful of food stalls including some of the festival favourites such as the everpresent Gozleme ladies. 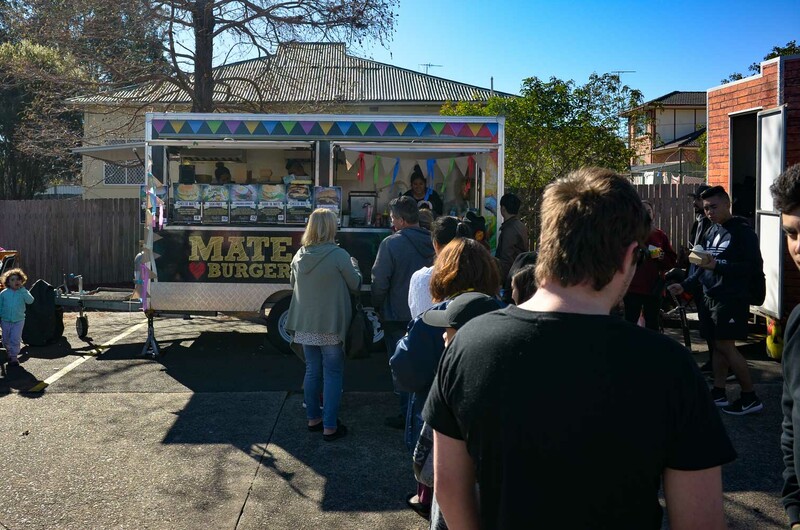 Mate Burger pulls the biggest queues. 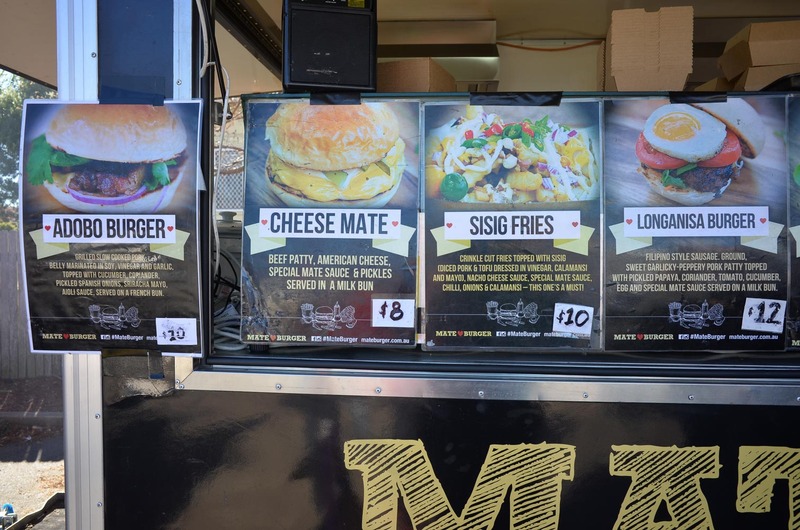 Filipino burgers and sisig fries. Holy moly. We're tempted but more tempted by the couple of Filipino restaurants on the main street. 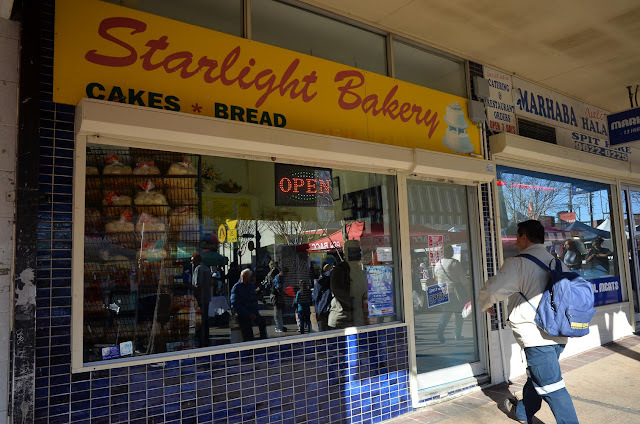 It just keeps getting better - we do a little dance when we discover the Starlight Bakery is Filipino. 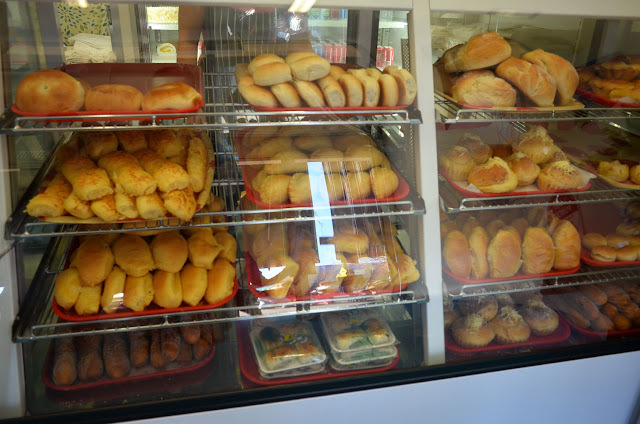 And we like us a Filipino bakery. This place can be empty one minute and crammed the next, so take a number when if it's packed. A kind lady stocking up for the week on bread and sweeties gave us some tips and we went home with a bunch of pork empanadas for later in the week, and some little cakes that Shawn can be left unsupervised with, almost, ube cakes and sputniks, both favourites of ours. 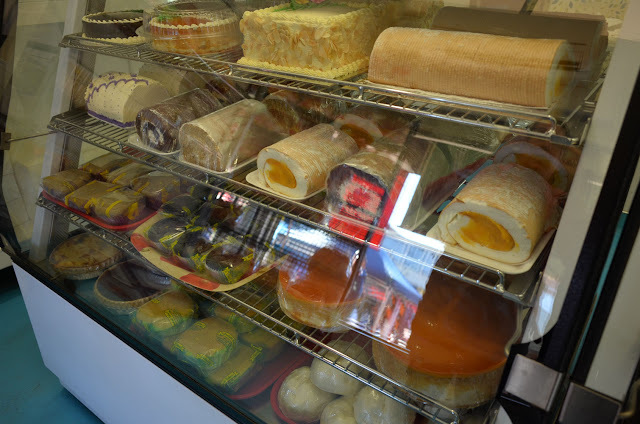 There's another Filipino bakery across the road - the Mix'n'Match, both are worth checking, this one is self-serve. 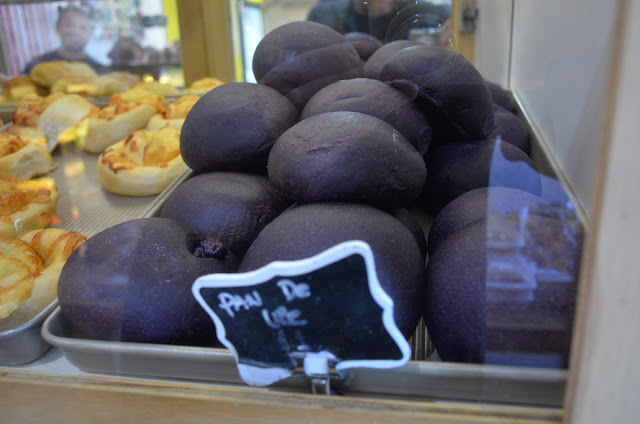 Next visit to Doonside the ube buns at Mix'N'Match will be ours. 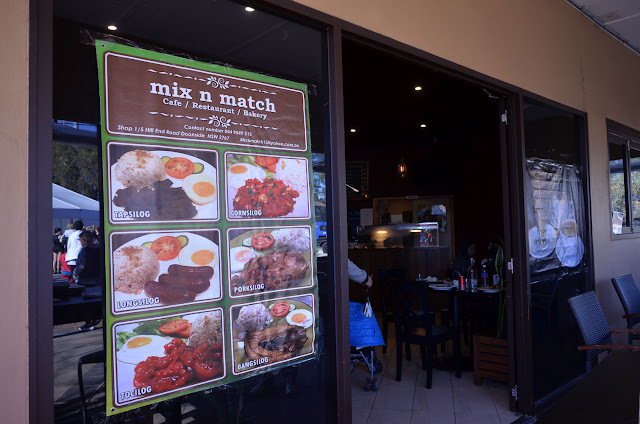 Mix'n'Match also has a cafe\restaurant. 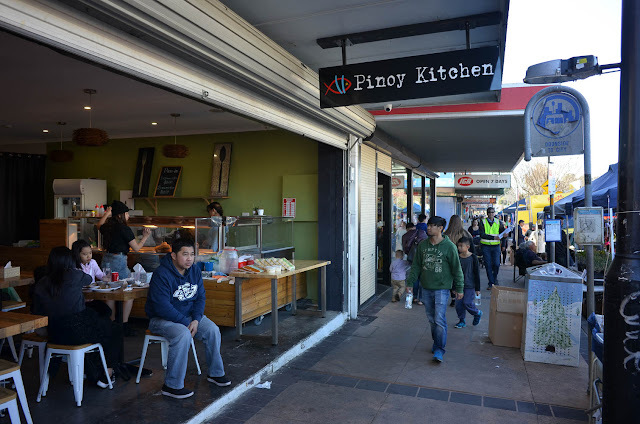 We will be back for the Filipino breakfast classics - garlic fried rice with some amazing meats and a fried egg - we'd take a cornsilog or a tapsilog over bacon'n'eggs any day (if anybody knows where to find adobo flakes in Sydney pretty please tell us). 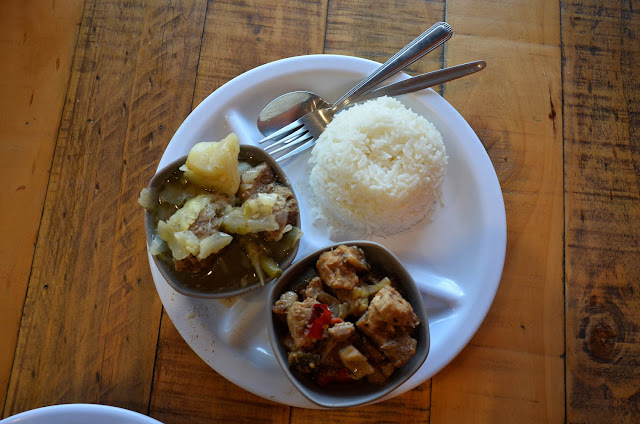 We are drawn to Pinoy Kitchen for lunch. 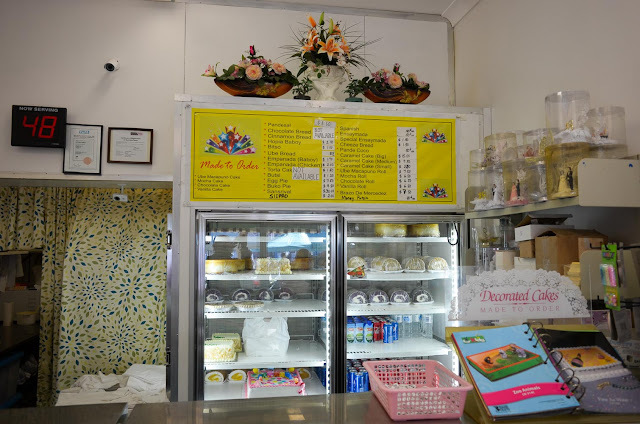 Mr Google tells us this style of resto is a called a Carinderia or turo-turo. 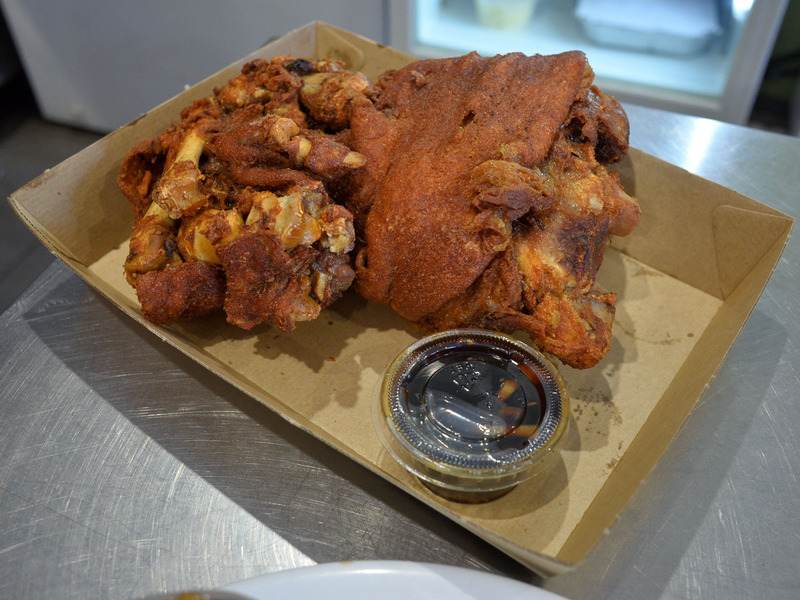 They've got a few dishes in the bainmarie-of-love and they are also doing a solid trade in crispy roast pork. 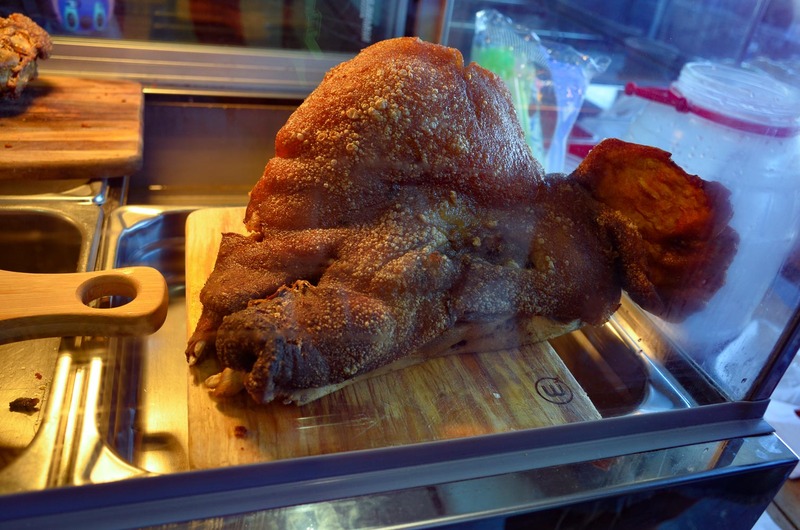 A big hunk of crispy pork is thirty bucks, a sweet dealio, it's intense food that goes a long way. 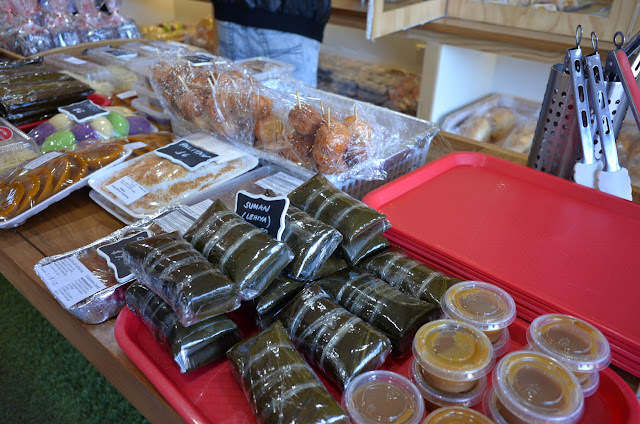 We don't normally take photos of other folks' food but these are special circumstances. 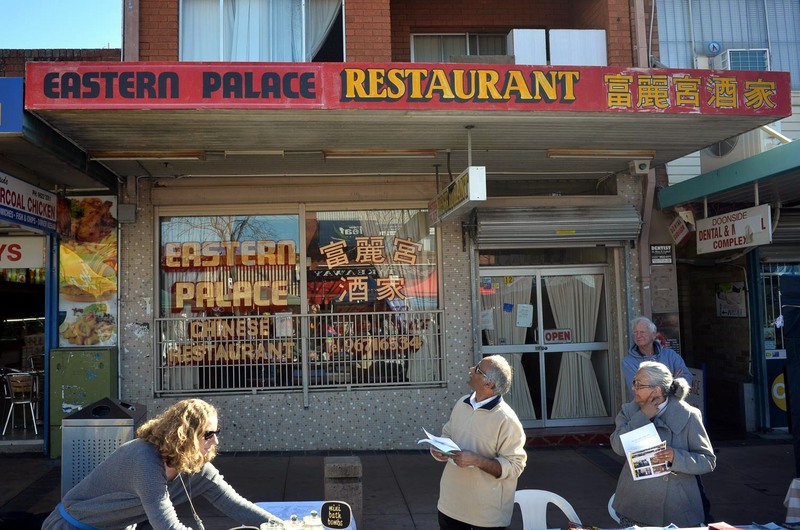 The bainmarie of love is eight bucks for one choice'n'rice or ten bucks for two. 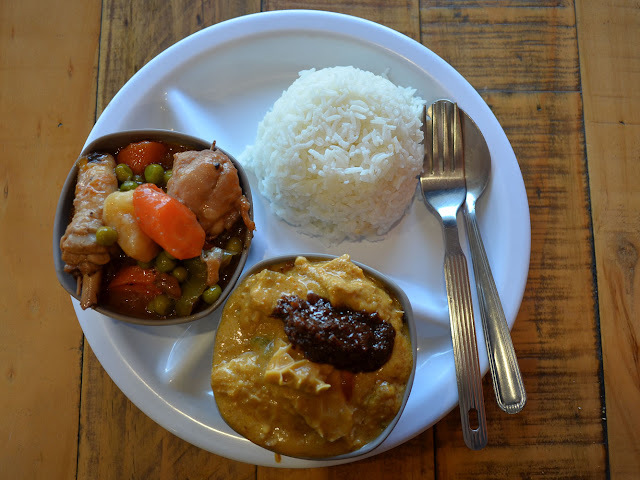 The yellow stuff is kare kare - a thick, rich peanut-y stew which is amazing with a dollop of bagung, a pungent fish sauce. The chicken stew which we missed the name of (afritada?). A gently homely soup and beef and eggplant stew go well together. The dishes are served cool so just ask if you would like it heated up. 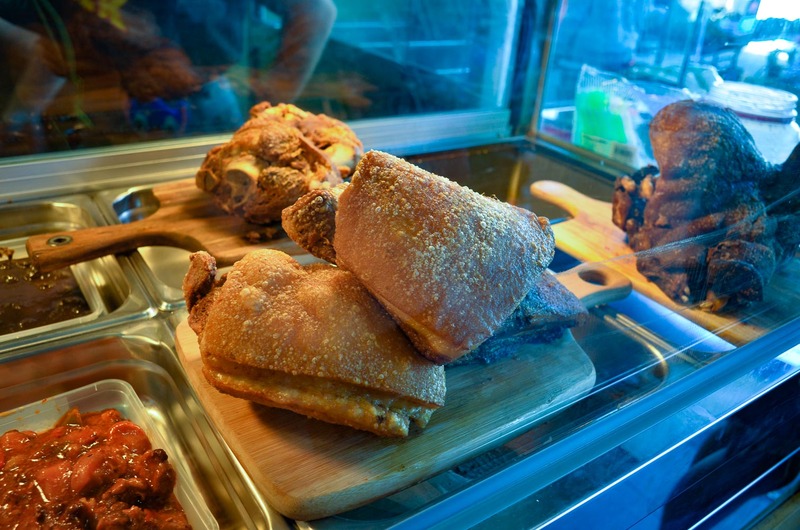 Crispy pig head to go. 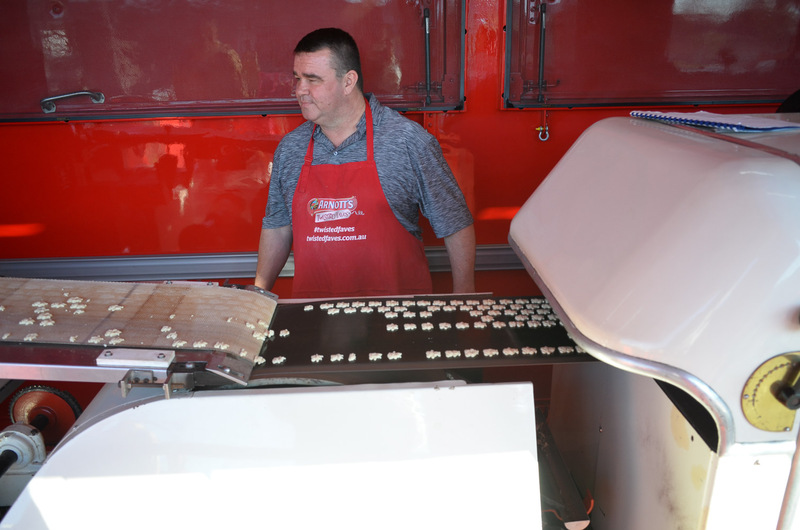 Arnott's have a mobile Tiny Teddy factory on the go. We would dearly love some quality time at the Eastern Palace, these Baby-Boomer era Chinese restos are getting thin on the ground and this looks like a corker. 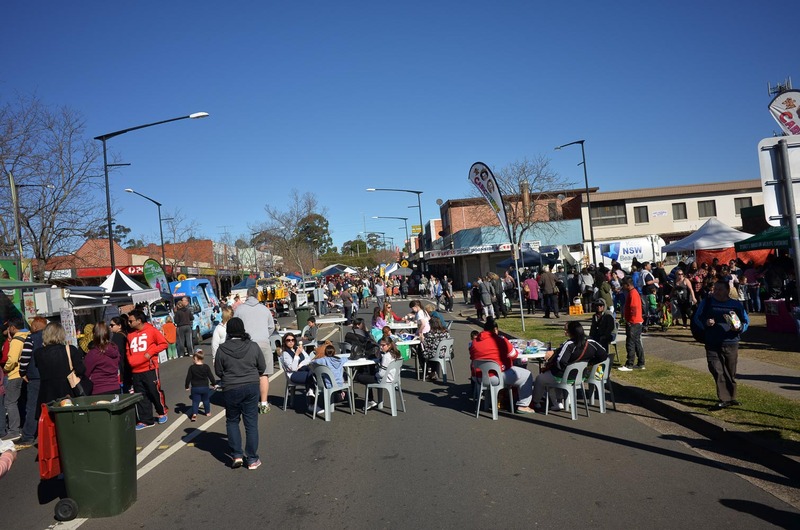 All this joy and more are in Hill End Road in Doonside, it's the main drag right next to the train station. 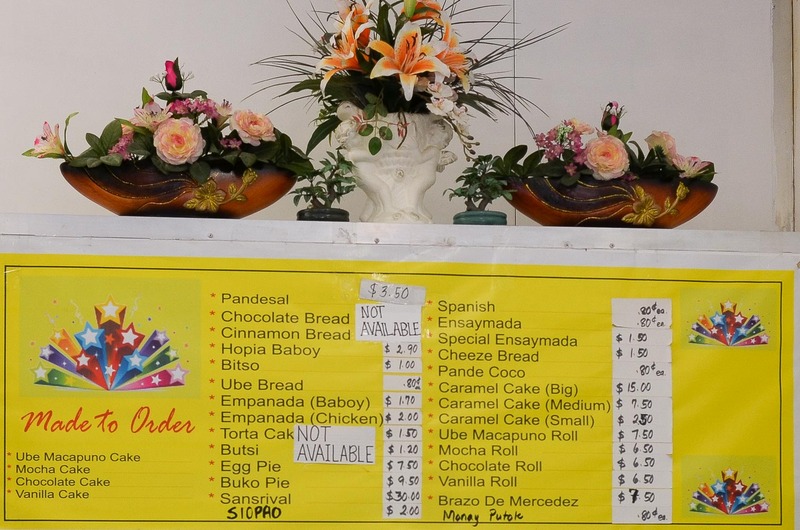 Information superhighway links: Pinoy Kitchen on Friendface - Mix n Match on Friendface - Starlight Bakery on Friendface. A special thanks to Kit at Doonside Railway station who found Alison's wallet, and the transit cops on the train who were so nice and helpful as we freaked out. I was introduced to "bitsu-bitsu" (maybe bitso from that menu?) by the lovely Filipino nurses at Mount Druitt hospital when I worked there last year. Basically a donut, but bloody delicious. I'm pretty sure they used to get it from a bakery in Doonside too.